"Sadly it's true," Keith Aspden said. "Mark has died after a short illness from which he never recovered." Talk Talk achieved mainstream success with such hits as It's My Life and Such a Shame, but became increasingly insular and experimental over time. When asked about the decision, he said: "I choose for my family. Maybe others are capable of doing it, but I can't go on tour and be a good dad at the same time." Keith Aspden told the BBC he was "still trying to accept" that his former colleague had died. "I can't tell you how much Mark influenced and changed my perceptions on art and music." he said. "I'm grateful for the time I spent with him and for the gentle beauty he shared with us." Talk Talk's bassist Paul Webb, aka Rustin Man, said he was "shocked and saddened" at the news. "Musically he was a genius and it was a honour and a privilege to have been in a band with him," he wrote. Simon Le Bon from Duran Duran called Hollis "one of music's great innovators". 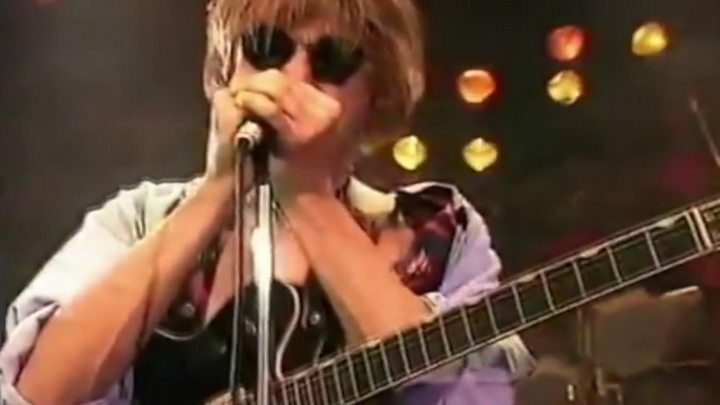 "Talk Talk, which he co-founded and fronted, were on tour with us in 1982," he wrote on Twitter. "It made for a tremendous and very entertaining bill. "Mark was the main songwriter of some truly great songs, including It's My Life and Such a Shame." Spandau Ballet's Gary Kemp said: "His influence upon music was immense and far reaching. A great presence in the modern era who took his bow far too early but has left us so much still to be moved by." Singer Mari Wilson said Talk Talk's third album, The Colour of Spring, "should be held up there with all the greats". And Adele's producer Paul Epworth said hearing the band's fourth album Spirit of Eden - a solemn, ambient record that was hailed a "masterpiece" despite its lack of commercial appeal - had directly inspired his career.